Naked Funk is Jony Lipsey & Jeremy Shaw. Having worked closely with Howie B, they released the albums Valium and Evolution Ending on the Pussyfoot label. Alien Groove Sensation from Valium later formed the basis of Do You Feel Loved? by U2 for their Pop album, upon which Howie B worked extensively. The music of Naked Funk takes inspiration from Hip-Hop, Electronic, Ambient and Latin sounds. Alien Groove Sensation from Valium later formed the basis of Do You Feel Loved? by U2 for their Pop album, upon which Howie B worked extensively. 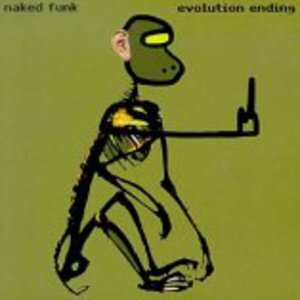 The music of Naked Funk takes inspiration from Hip-Hop, Electronic, Ambient and Latin sounds.